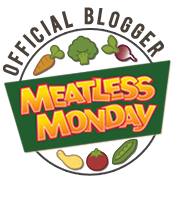 Meatless Monday (the Tuesday edition) – Mexican Crockpot Casserole | (m)EAT LESS, RUN MORE! Turn crockpot off then add some fresh-squeezed lime juice and cilantro, and give it a good stirring before serving. Makes 8 heaping 1-cup servings. I top mine with guacamole, hot sauce and extra cilantro. 1 TBSP chile in adobo?!? I’d be adding the whole can. I’m going to have to try this out. Sine Greg likes it pretty spicy, I think I’d be safe adding the whole can. Whenever I go to Thai or make things for a group, I always have to make it a lot less hot than I’d like. Greg will often cook for himself since I hate to cook and I’m vegetarian and he’s not. He’s not anti-vegetable, though. That’s good. I think the only vegetable John likes is Brussels sprouts. I love crockpot meals!! Especially now with a baby at home and trying to be a working mom. This sounds great. I’m not a big rice fan, though – do you think you could do it with quinoa or something similar?